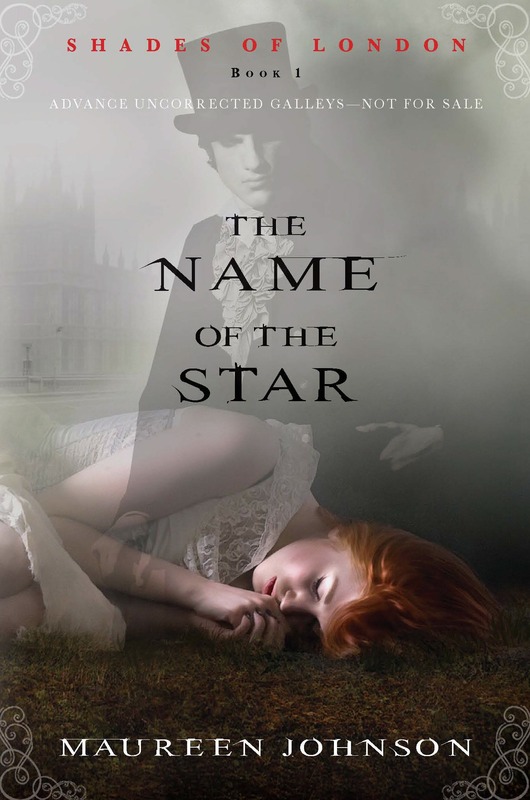 kt literary » Blog Archive » STAR reviews! Rory, 17, leaves rural Louisiana and enrolls in a British boarding school. Her arrival coincides with the emergence of a new terror in London: a murderer mimicking the 1888 grisly killings by Jack the Ripper. As she reports to officials her knowledge of events leading up to these gruesome deaths, she reaches the startling realization the she can see individuals not observed by others or picked up with electronic surveillance: Rory can see ghosts. She recognizes the one who poses as a modern-day Ripper and who is responsible for the horrific murders spreading across London. His plan intensifies and Rory becomes his target, with an announcement that the killings will continue until she surrenders to him. Employing a terminus, a device used to eliminate lingering ghosts, and a few friends who, like Rory, possess “the sight,” she goes deep into the London underground to “terminate” this modern-day Ripper. While she is successful, there is obviously more to tell in this planned trilogy. This savvy teen, who uses her considerable smarts and powers against the ghosts, will return to battle all who haunt her world. Johnson uses a deft hand, applying the right amount of romance and teen snarkiness to relieve the story’s building tension. Departing from her previous works, she turns paranormal on its head, mocking vampires and werewolves while creating ghosts that are both realistic and creepy. A real page-turner. Flip-flop-wearing, Cheez Whiz–eating 18-year-old Rory has left her Louisiana home to spend her senior year at London’s esteemed school, Wexner. Her arrival, though, is met by a series of grisly murders precisely mirroring the 1888 killings of Jack the Ripper—and Wexner is right in the center of Saucy Jack’s stomping grounds. After a near-death experience, Rory finds herself with the ability to see “the shades,” ghosts drifting about London. This ability brings her to the attention of a squad of young people with similar talents who are working with the authorities to sniff out the copycat killer before the final murder takes place. Johnson proves again that she has the perfect brisk pitch for YA literature, never overplaying (or underplaying) the various elements of tension, romance, and attitude. The mechanics of the squad’s ghost busting are a little goofy, but, otherwise, this is a cut above most paranormal titles, with a refreshing amount of space given to character building. What’s that coming through the fog? Yes, it’s more volumes in the Shades of London series headed our way.